I know I have mentioned several times that I am not a "breakfasty" kind of girl. I am just not fond of the time of day that most people eat them. Not much of a morning person here, I will admit it. Come on, I love my sleep. My pillows and I have developed a very close and personal relationship. But, for some reason this day I was motivated. Kevin was off for the day. We were both up early. And I had this fabulous syrup to use. he proceeded to down 4 pancakes in no time flat! I guess he liked them. But I hope he is not counting on it happening too often. Unless I make them for dinner. In a pot, combine the blueberries with 1/2 cup of the water and bring to a simmer. Simmer over low heat for 15 minutes. With a potato masher, crush the berries a bit. Pour into a bowl. (You can strain the solids if you would prefer). Rinse out the pot. Add the sugar, lemon zest and the remaining water and bring to a boil, stirring to dissolve the sugar. Boil the syrup over moderate heat until it registers 225° on a candy thermometer, about 20 minutes. Add the huckleberries and lemon juice and boil over high heat for 1 minute. Let the syrup cool, then discard the lemon zest. 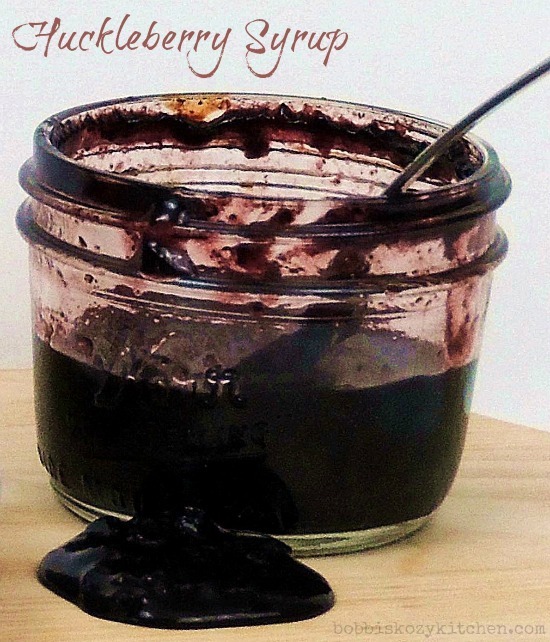 Pour the syrup into fresh-cleaned jars. Seal and refrigerate for up to 6 months. Combine milk with the lemon juice in a medium bowl and set aside for 5 minutes to "sour". Combine flour, sugar, baking powder, baking soda, and salt in a large mixing bowl. Whisk egg and butter into "soured" milk. Combine the wet and dry ingredients until there are no lumps. Heat a large skillet over medium heat, and coat with butter or cooking spray. 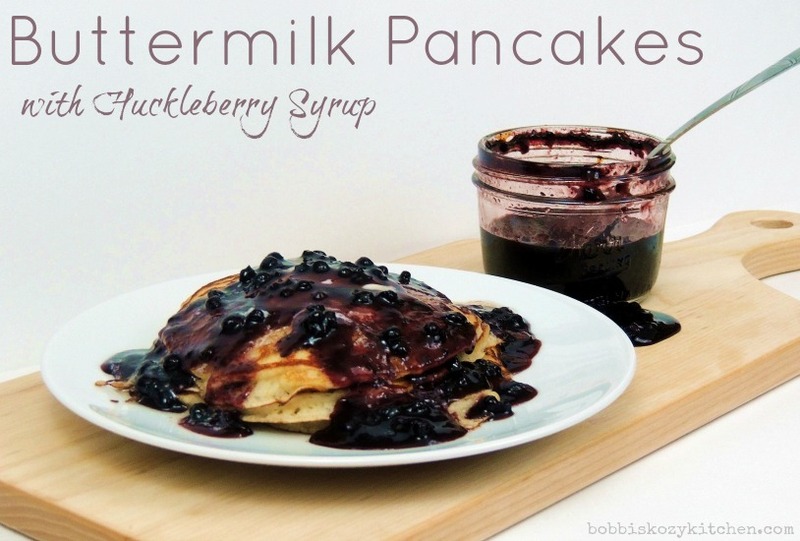 Pour 1/4 cupfuls of batter onto the skillet, and cook until bubbles appear on the surface. Flip with a spatula, and cook until browned on the other side.